Vinification: Crushing-destemming is followed by skin contact for 12 days at 29C. When malolactic fermentation is complete, maturation for 10 months partly in French oak casks, and partly in steel. Vinification: When malolactic fermentation is complete, most of the wine matures in French oak barriques for 12 months, and then in bottle to impart overall harmony and breadth of appeal. 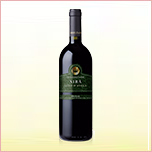 Soft-textured and mouthfilling, with progression sustained by juicy savouriness and crunchy tannins. Energetic and vibrant rousing finish. Compelling nose that unfolds ripe red and black berry fruits followed by threads of dark, liquorice and tobacco spiciness backed up by refreshing balsam. 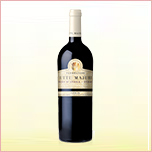 Mouthfilling and stylish in mouth, where velvety smoothness introduces a well-balanced, long-lingering finish. Vinification: Controlled-temperature fermentation in steel conserves the primary aroma compounds, while the portion ferments and ages in wood lend to spicyness and complexity. Bottle ageing is a crucial factor, bringing out the wine's personality. 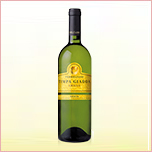 Aromatic nose ranging from flowers to citrus, tropical fruits and balsamic notes. Fresh and fragrant with plenty of breadth and depth on the palate, where an intriguing minerally note extends and prolongs the rich aromas.